What should you get organized before you go & see your web designer? What are the things that you probably want to have on hand before you start talking to your web designer? 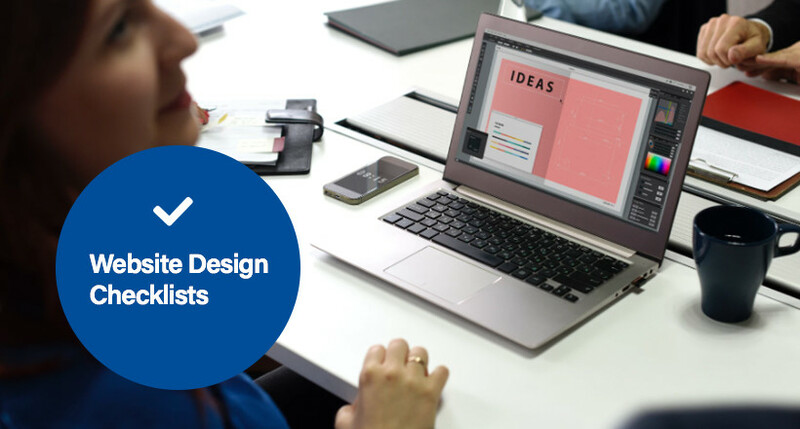 If you have a few things prepared, it is going to make things a little bit easier, possibly cheaper, but also your web designer is going to see that you have made some effort to prepare and will probably be slightly more excited about getting started. So it is going to depend on where you are. If you only just started your business, you might not even have a logo or a business card or things like that, and that is fine. Many times a web designer will steer you through that. We often take clients who just had their business name registered and need to do a logo, a business card, maybe Fridge magnets, all that sort of stuff. The essential thing is, if you have already got an existing business, the things that you probably have on hand or you need to go looking for are going to be a digital copy of your logo. A computer file. Not scanned in from a business card but the actual data that the original graphic designer did. If you can find that, you might not need the digital copy of your business card. However, sometimes if you have got the card as a computer file that might be okay as well. The next critical part has more to do with the content on the website. So if you have a brochure or some document that introduces who you are and what you do, that could be a perfect starting point for the content of your website. It will also help your web designer figure out what’s your site going to be about because they might not understand your business at all. So the next big step is going to be your photos. If you had a professional photographer, you would have some great photos available. If you do not, that is okay. You probably got a phone that can take pictures or maybe a digital camera that can take pictures. So collect up those photos and name them what they are so that the web designer does not have to guess what they are. Also, maybe put them into folders if there are different sections of your business or products. So it is easy to know what photos belong to which part of the firm. If you have already got your domain name and hosting setup, then you are probably going to need to find the logins and passwords for that. Often that will be something like a registry key or an auth code for the domain name. That is the lingo or the geek term for it, but a password for your domain name, which probably the only time you would have seen it would be when the domain was registered, or the person who did it for you should be able to get it. Many times, you can do a password lookup, and it might get emailed back to you, and that can work as well. If you have a hosting account setup, see if you can find the login details for the control panel or the FTP username and password because then your web designer can access the existing things you have got set up. Now, we often like to manage the hosting and domain for our clients so that it is an all-in-one and there are no extra things for them to worry about, but every web designer might do things a little bit differently or have their way of approaching it. If you want bonus points, do a video. Grab your phone or your camera and do a little video introducing yourself and your business. Maybe talk about what kind of benefits you provide to the client or the sort of thing that makes you unique or maybe the things that you do better than the average type of business in your industry. Maybe it is the fact that you are available 24 hours. Maybe it is because you turn up on time or you do not charge a call out fee, or you have the biggest range of an individual item or that you specialize in just one thing. You do not specialize in everything though, and that is okay. Also, you should have a look through your old files to find a PowerPoint presentation you gave some time in the past or a document that explains what you do or brochures from a supplier that you might like to reuse. All these things can be perfect for your website. So before you go talking to your web designer, unless you have got nothing organized and they are going to do everything for you, have a look at things like logo, artwork, brochure, passwords, and anything else that you want to put on your website. These little things will go a long way.